Got a great recipe to share? 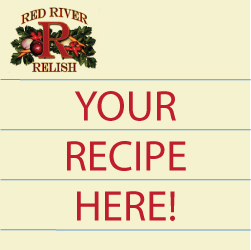 If you have created something fantastic with Red River Relish Original, Chow Chow, or Sweet and Heats, we’d like to include it in the Recipes section of our website and on our Facebook page. We’ll give you all the credit!